You know the one. Every time you turn around, here they come with another idea to make the restaurant better. Though well-meaning, they are time vampires whose well-intentioned ideas can drive you crazy. You want to hide when you see them coming. I was “that” employee during my tenure at the original Corky’s BBQ in Memphis, Tennessee. Lucky for me, Corky’s founder and my mentor, Don Pelts, did more indulging and less hiding. My mind functions to identify and solve problems. The idea for our catering software originated at Corky’s back in college. I saw the ladies taking catering orders every day asking customers for the same information over and over again: what’s your name, company, address, phone number, credit card number, etc. Robbie the general manager spent an hour each afternoon creating kitchen production reports and totaling prep items for the next day. That suggestion fell to deaf ears, until I launched my catering software company nine years ago. Today my team probably wants to run and hide from my ideas to help our clients via our catering software. 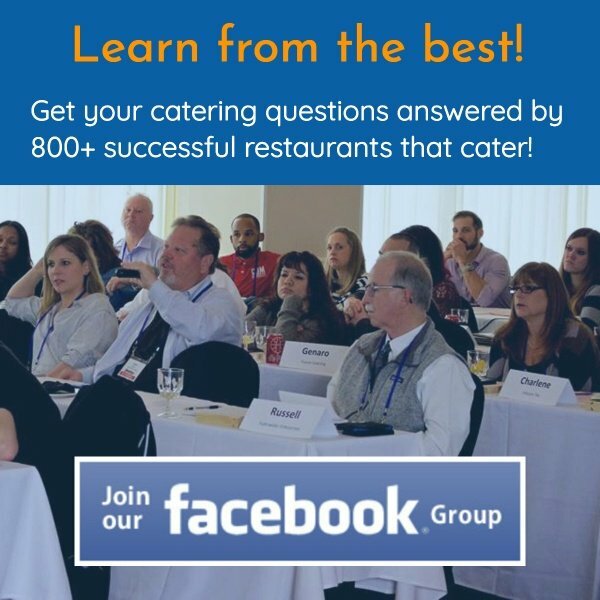 In all fairness, a lot of the ideas to improve Restaurant Catering Systems comes from our client base. Those of you in the trenches let me know what you need to sell more and operate more efficiently. I am proud to announce the launch of our Venue Manager. 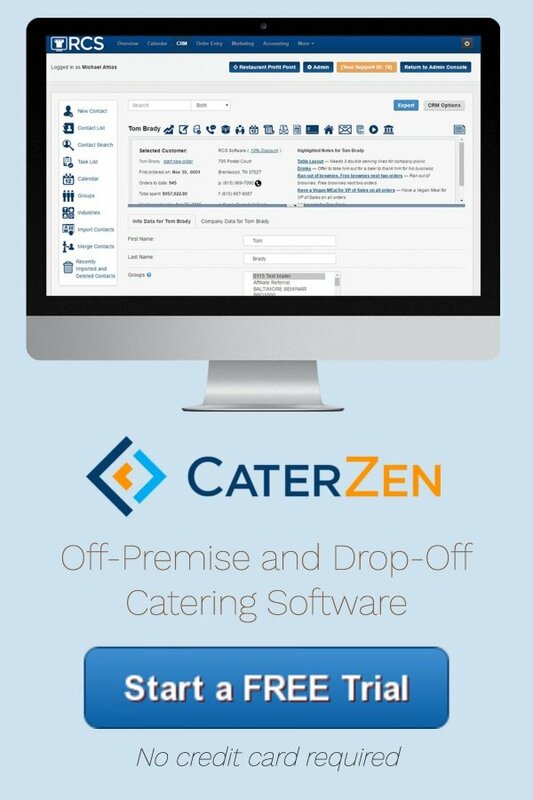 This is an enhancement to allow better management of any catering, full service or drop-off to a delivery location shared by multiple catering clients. Venues: Churches, museums, halls and other venues are all examples of locations that allow outside caterers to come in and cater events. Doctor’s Office Database: Dr. Jones practices at the Nashville Oncology Clinic. Seven different pharmaceutical reps deliver lunch to his office on a regular basis. In both examples above, you can now eliminate the need to type out all of the information for a doctor’s office or venue each and every time someone wants their catering delivered or serviced there. You can select the location from the Venue Manager. You can also select a venue or add one on the fly from the Rapid Order Interface, thus eliminating going from one screen to another. Under both scenarios, you can look up a venue by name, contact name or telephone number. For all venues/doctor’s offices in the database, you can enter General Notes and Delivery Notes. The General Notes may be something like dietary restrictions or general rules for the venue. These populate automatically under special instructions on your tickets. The Delivery Notes would contain anything needed to make the delivery, like gate codes, access points or where food gets delivered and set up. These notes show up automatically on the delivery instructions on your tickets. Besides the obvious advantage of saving time entering and re-entering the same delivery addresses over again, there is one major benefit for your pharmaceutical reps: for any doctor’s office (or venue), you can see a list of all orders delivered to that office, regardless of the catering client who sent it. This helps your pharmaceutical reps look like catering heroes. No one wants to send the exact same catered lunch back to back. By being able to access order history for a doctor’s office, you can suggest other menu items. You are now transformed from caterer to partner in making the pharmaceutical rep look good in front of their client. Benefits like this make price less of an issue. 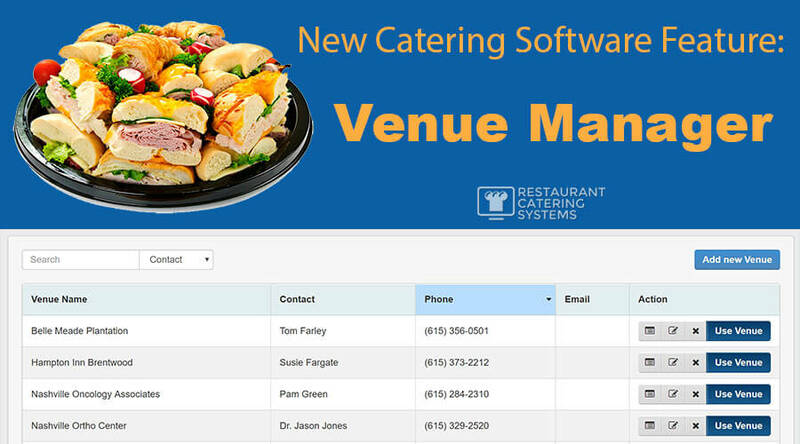 Watch the video below for a complete rundown of the Venu Manager - the ultimate catering delivery database for doctor’s offices and venues. Running a successful, profitable catering business is all about the little things. From shaving a few minutes off order taking time to making your clients look like heroes with their guests, it is all about exceeding catering client expectations. Any time you can invest in replicable, efficient systems for your business, the more money you can make while creating less work for yourself. That is the definition of a business; not a job. And a business operating with systems is worth far more come the day you sell it. It is limited to the first 100 attendees and will be held one time only on Monday, June 12, 2017 at 7pm Eastern, 6pm Central, 5pm Mountain and 4pm Pacific. To grab one of the 100 spots before they're gone, visit www.FreeCateringWebinar.com.